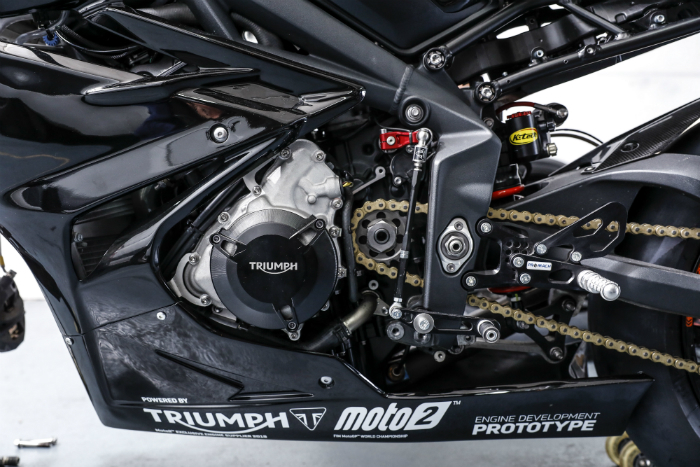 Triumph has announced a ‘major step’ in its Moto2 2019 season race engine development programme, as last week the team completed a successful second track test at the Ciudad del Motor de Aragón. 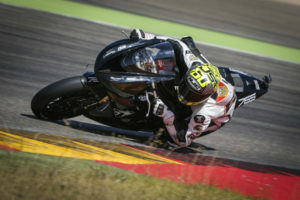 Following on from the extensive factory test programme, Julian Simon, 2009 125cc World Champion, Moto2 runner-up and experienced Moto2 test rider, put the Triumph engine development prototype through its paces. Coming mid-way through the engine development programme, the shake down test provided essential data input into the performance and durability evaluation programme. Initial feedback from the test shows that the development programme is progressing positively and that the team is well on schedule to deliver its first batch of Moto2 race engines by June 2018. In regards to power, torque and durability, we are ahead of our expectations and during the track session saw excellent results, with the bike delivering good, consistent and competitive lap times. With a three-year contract with Dorna, the commercial rights holder of MotoGP, Triumph are to supply a dedicated race-tuned 765cc Triumph triple engine, based on the powerplant from the all-new 2017 Triumph Street Triple. The new engine is a significant development of the race-winning Daytona 675R powerplant that has powered supersports wins at the Isle of Man TT, Daytona 200 and British Supersports Championships in 2014 and 2015. Based on the new 2017 Street Triple powerplant, the Triumph Moto2 765cc triple engine has been developed and tuned to deliver increased power and torque. In ‘road’ set-up the new 765cc engine delivers 121hp at 11,700rpm and 77Nm at 10,800rpm. 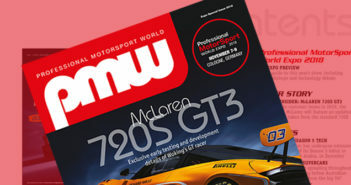 It has more than 80 new parts compared to the previous generation engine, including an increase to the bore and stroke, a new crank and pistons and a revised gearbox.